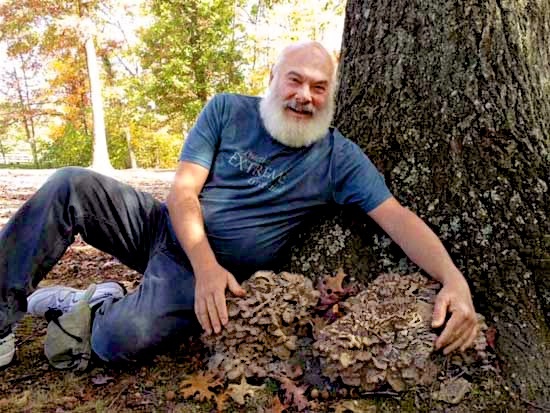 Collecting maitake mushrooms with naturalist Alan Muskat near Biltmore estate in Asheville, NC. 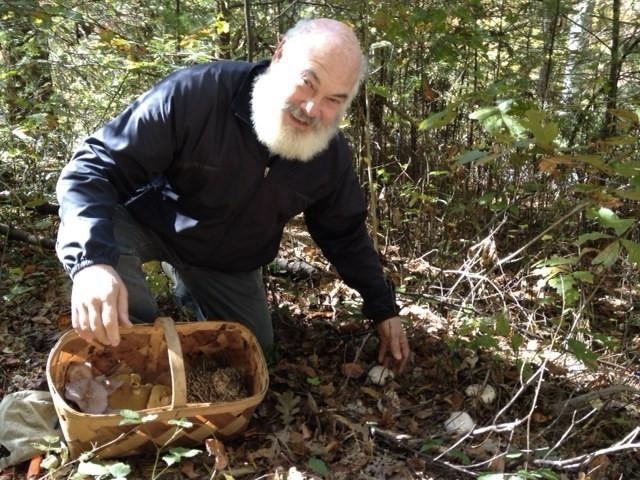 I always love a good mushroom hunt! 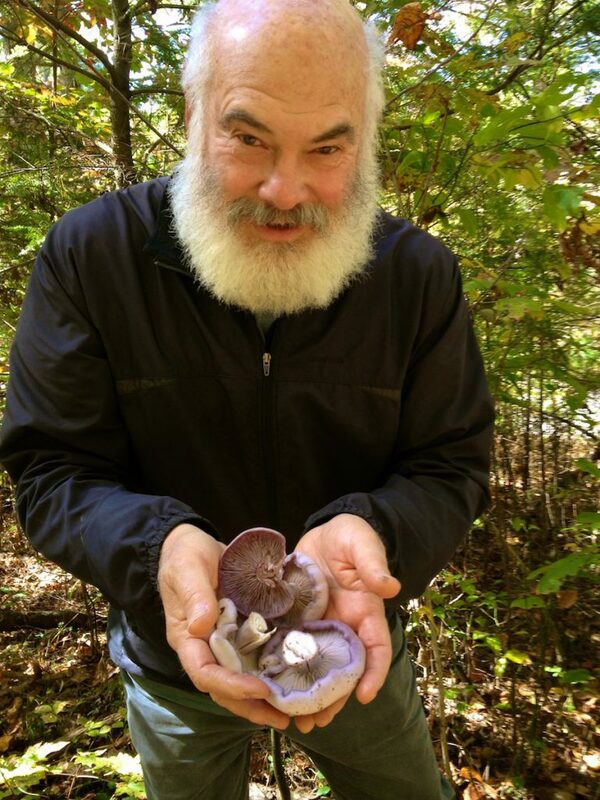 A nice patch of blewits (Lepista nuda). 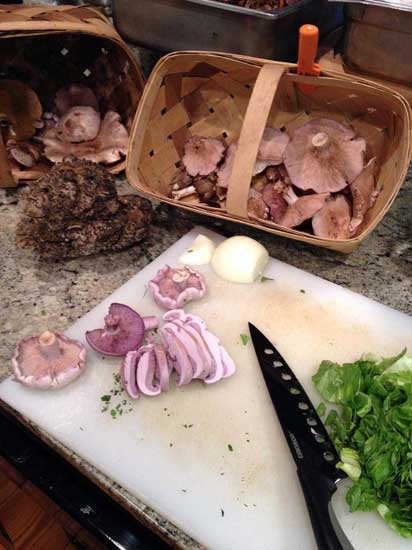 Blewits up close, the name comes from “Blue Hats” due to their colorful tops. 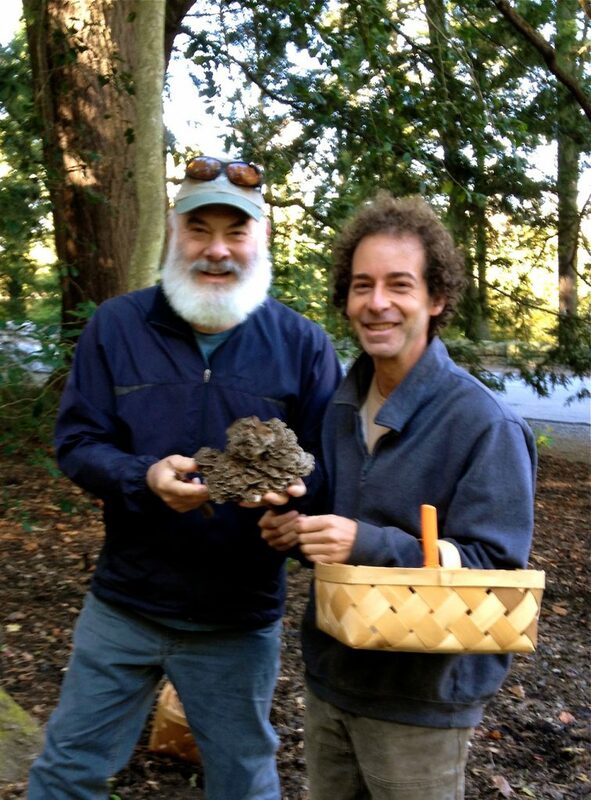 A bounty of maitake mushrooms – also known as hen of the woods. 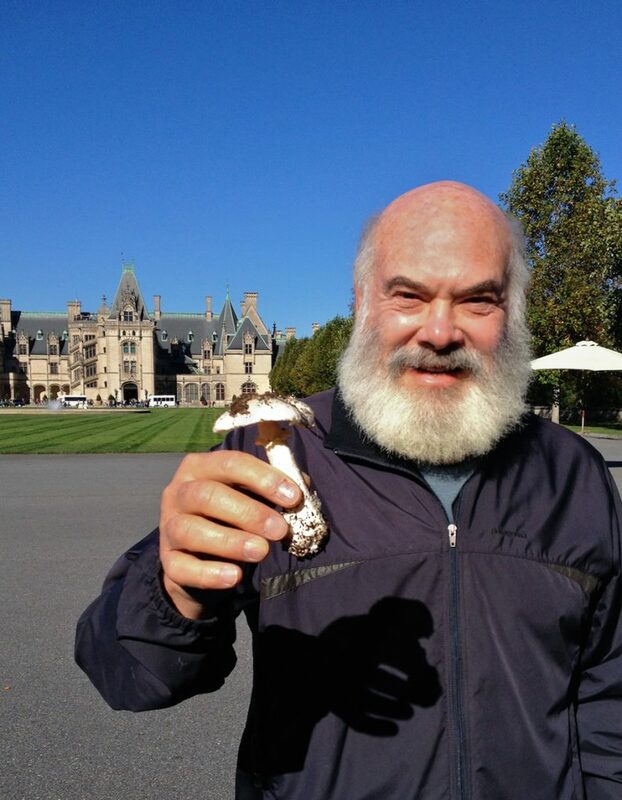 Here’s the fruit of our mushroom-hunting day near the Biltmore House in Asheville, NC. 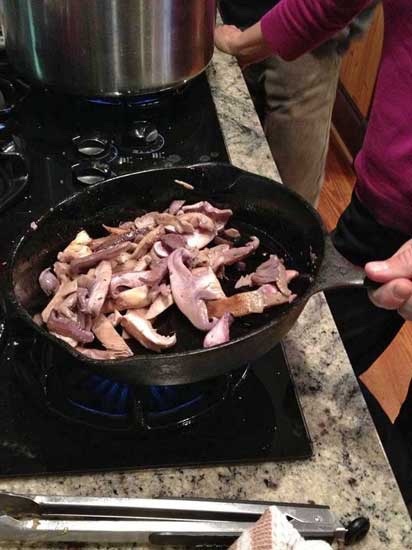 Sauteing the blewit mushrooms (also called blue hats) brings out their flavor. Just add a little olive oil and some seasoning and you are ready to go. 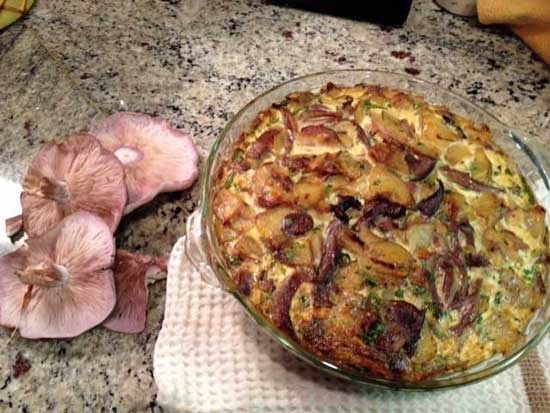 We put our bounty of blewits, along with potato and onion, into this Spanish omelette.